Last November 14th, the German city of Karlsruhe was the theater of a seminar organized by the TZW – Technologiezentrum Wasser (the Water Technology Centre of DVGW: The German Technical and Scientific Association for Gas and Water) and the city’s water utility Stadtwerke Karlsruhe. The prestigious venue of the event was TZW’s headquarters. This recognized institution carries out practice-oriented and interdisciplinary research and investigation programs, developing solutions for different areas of water management issues, from resource protection via water abstraction and treatment to distribution up to consumers’ tap. Stadtwerke Karlsruhe (SWKA) is the municipal Water Utility which serves a region with 400,000 inhabitants and distributes about 24 Hm3 of water per year. The water is supplied from four drinking water treatment plants and main pumping stations, and it is distributed by more than 900 km of pipeline. “Digitalization in the Water Supply” was the focus of the event during which, water industry experts presented and discussed how Artificial Intelligence techniques, Algorithms and Data Platforms are helping water supply companies master the challenges of the future. The event counted with the presence of recognized speakers and attendants coming from a large variety of organizations: Water Utilities, Public Institutions and Technology Centers, Engineering Bureaus, Universities and private companies. The seminar format was conceived with particular attention to the audience’s point of view, promoting a networking environment through spaces dedicated to open questions, where different perspectives and experiences in the digitalization process were also exchanged. Such a structure was able to create an environment where to set out ideas, debate and exchange different approaches on the digital transformation process for water utilities. Prof. Dr. Matthias Maier (Head of Drinking Water Division at SWKA) had the honor to open the seminar, providing solid reasons to go ahead with Digitalization in the water supply and highlighting what this means for SWKA. 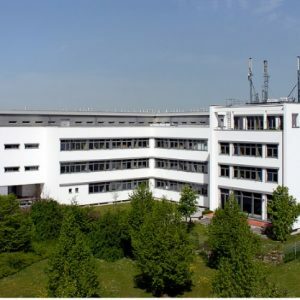 Prof. Maier affirmed indeed that, in addition to significantly more efficient processes, higher transparency of their activities and an easier knowledge transfer, they had also achieved, through real-time data, a lower response time for exceptional events that require immediate attention. CEO of TZW Dr. Josef Klinger pointed out the need to convert the concept of “Digitalization” into concrete actions. Greetings were followed by WatEner‘s General Manager Jorge Helmbrecht who introduced the platform WatEner®, illustrating its components, use, and newest functionalities, with a presentation on Innovative solutions for current challenges with the integration platform WatEner using artificial intelligence. The totality of exposition subjects revolved around the “Digitalization in Water Supply” topic, addressing it from different angles. Among them, the practical example of WatEner® platform application in Stadtwerke Karlsruhe with a live presentation held by the Head of drinking water Production and Quality Assurance, Dr. Dirk Kühlers, awakened great interest in the audience. It was indeed showed how the gathering, integration and evaluation of data can provide detailed support to facilitate the daily operation in water supply companies. The platform WatEner® enables, for example, the visualization of pipe network models, the accurate preparation of key figures for the various divisions, as well as the energy-saving operation of the hydraulic pumps by means of self-learning operating systems. Another presentation of great interest was the one concerning Management systems with online models and sensor techniques for decision support using the example of Lake Constance by Dr. Ulrich Lang of the Stuttgart-based engineering company Kobus und Partner. TZW itself brought a significant contribution with Dr. Martin Wagner illustrating the Perspectives of prediction and data models for water supply and Sebastian Sturm, explaining the Application of Remote Sensing Methods for Risk Assessment in water catchment area. To complete the variety and relevance of the subjects treated, it is also interesting to mention the presentations given by Tamara Stefani & Wolfgang Deinlein from SWKA about the Construction of a groundwater level measurement network with mobile communication and LoRaWAN, and Thorsten Schlachter from Karlsruhe Institute for Technology about the Experience in setting up and operation of web-based measuring networks in the environmental sector. As the main conclusion, the importance of adopting innovative technologies in the Water Supply Sector was particularly well established, with a special remark on how crucial it is to integrate all isolated data from different sources and promote greater connectivity between departments. In the path to digitalization, it is also relevant to emphasize the need to consolidate the link between processes, people and new technologies, taking into account that innovative technologies such as Artificial Intelligence can support the decision-making process, without replacing human work and expertise. 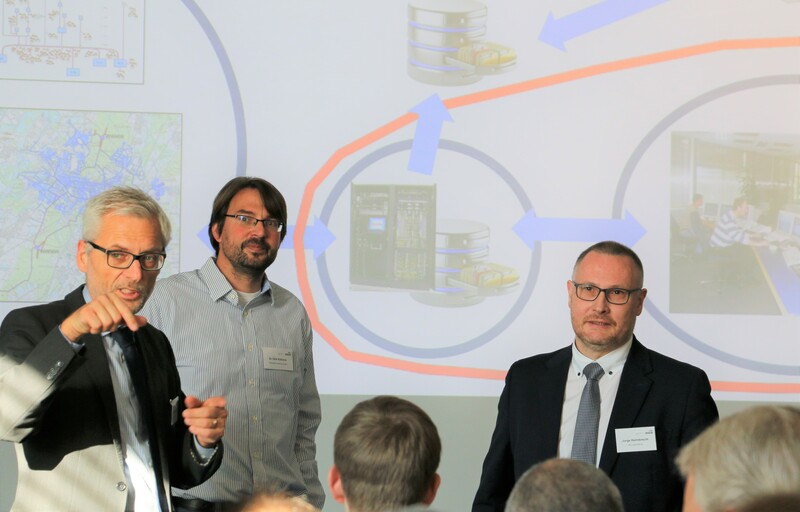 From WatEner we are pleased to have joined this Seminar and for having the opportunity to demonstrate how Artificial Intelligence techniques can help in the efficient operation and management of Drinking Water Networks.